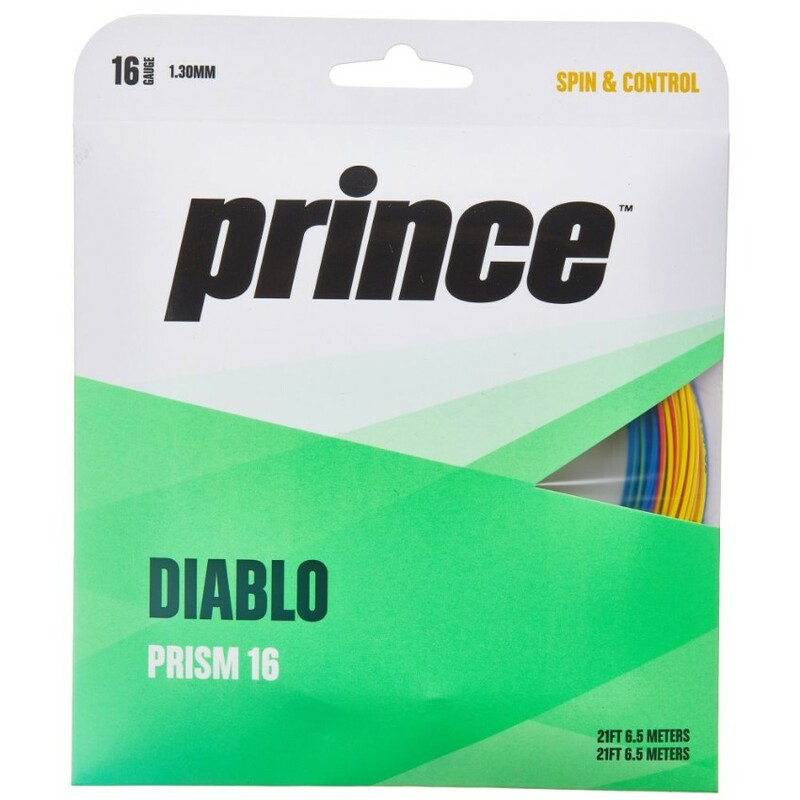 Prince Diablo Prism 16 String - Tennis Town | 網球購物城 - Tennis Racquets, Equipment, Strings, Shoes & Bag. Unique Poly with 2 half sets of dual color poly. Great control and superior pocketing for the player that wants to stand out from the crowd.